In his book entitled Against the Grain, Graham Harris, describes how one day, dissatisfied with his lot as a factory print worker, he decided to change his life. Working from his garage in his free time, he invented and developed the Tri-Creaser – a device that has revolutionised the print industry. With honesty and self-deprecating humour, Harris recounts the many ups and downs of his journey to owning a multi-million pound, multi-national company – where his devices are now estimated to have saved his customers up to 8 billion pounds over ten years. 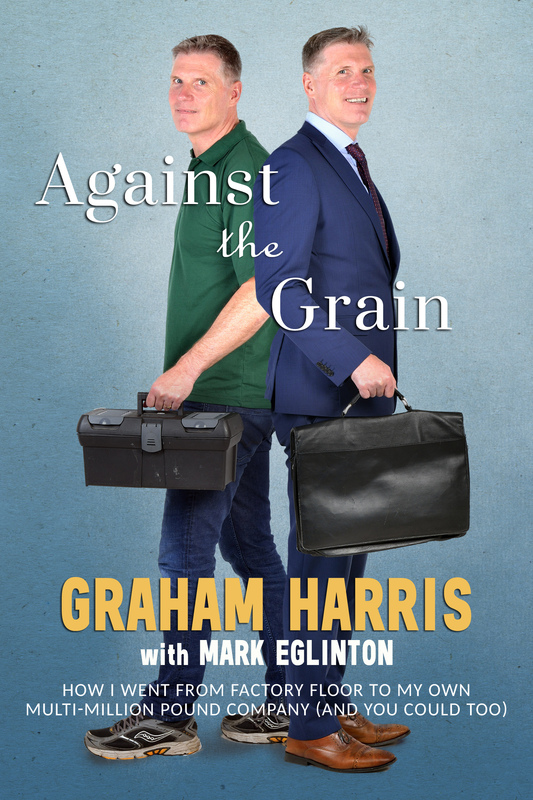 Not only does Against The Grain chart Harris’ inspiring story, but it also offers hope for aspiring innovators by spelling out, in simple terms, both the attitudes and the practical steps required to conceive an invention, manufacture it – and then take it to market. To buy the book directly from Rudling House use the Buy Now button above – we ship worldwide – or click on the cover below to order through Amazon.